Games on Demand at Dragon Con 2017! 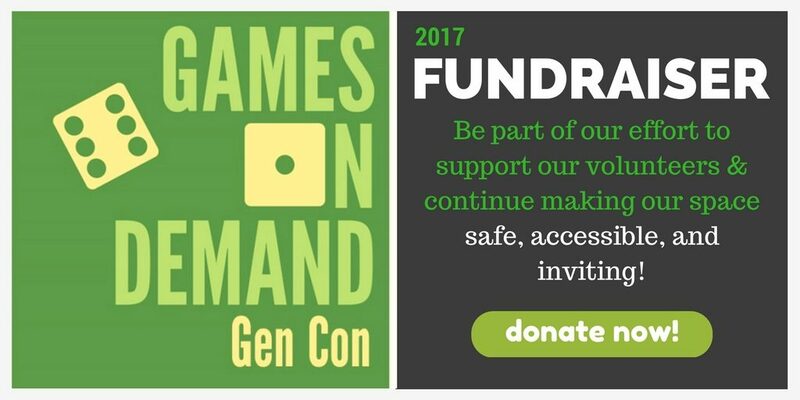 Games on Demand is coming back to Dragon Con! We are looking for GM’s to run games on Saturday and Sunday so sign up and help us spread our favorite hobby and GoD! I am organizing a GAMES on DEMAND at Dex con. We have no formal space yet, but I’m planning on using the little cove facing the Manhatten rooms as an HQ. If you find you have slots of nothing to do and want to run more games, find GoD fill out a Call for Games sheet. With your intended Game . I will post this on the Wall of GoD somewhere. If you find you have slots with no games and want to play check out the Wall of GoD where Gms are hoping to offer up some good gaming. – You would like to run some games, and okay with exactly which game it is being decided right then on the day. Low-preparation games are obviously stars here, but games/adventures with prep done in advance are great too (as long as it can be played on demand!) You also get to claim the GM’s reduced entry fee and preferential game picks. No need to decide which games or how many sessions you would like to facilitate yet – we’ll do that later. Midwinter Gaming Convention, taking place January 12-15, 2017, is looking for volunteers for a new Games on Demand event! The goal is to offer the Midwinter crowd a chance to try out a variety of creator owned/small press RPGs, especially those that are not already represented at the convention. In addition to Games on Demand, the Indie Game Designers Network will also be at the show, so there should be a good mix of indie games. If you’re interested in volunteering, sign up using this Google form!